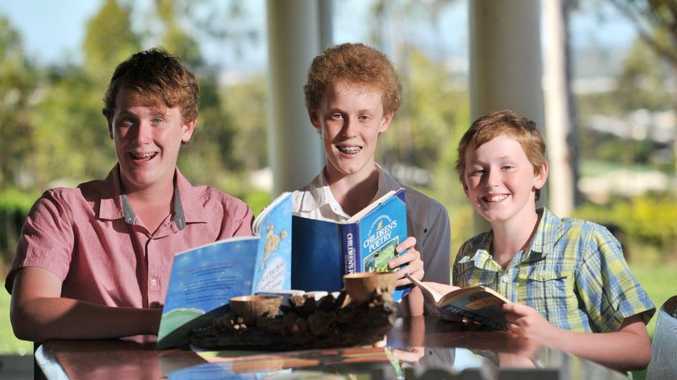 FROM Bible reading to miming, to impromptu and poem recital, the Niven brothers will be starring in all categories of speech and drama at the 2014 Gladstone City Eisteddfod. 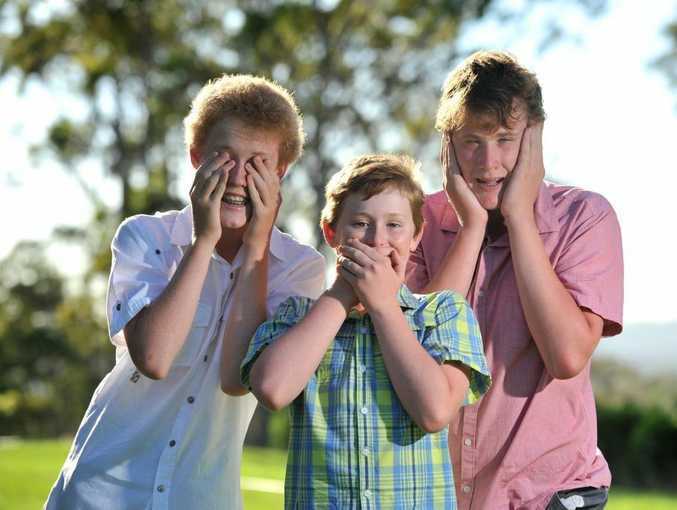 Twins Lochlan, 14, and Ben, 14, are gearing up for their fifth eisteddfod, and it will be the fourth for younger brother Alex, 10. All three are eager to bring their best acting skills to the table. Alex enjoys acting as someone else and performing parts from Roald Dahl novel the BFG, while Ben enjoys the chance to be creative and play the "goofy character". "Last year I made up my own poem and I got second place," Alex, the youngest in the family, said. The three boys are beginning to select poems and have already started throwing around brotherly banter. The best parts of the eisteddfod, Ben said, were "beating Lochlan.. and missing school". The twins, who are in Year 9 at Chanel College, have started studying drama subjects at school and both plan on pursuing a career in the arts. "I want to be an actor," Lochlan says, while Ben is still contemplating writing his own book and Alex is deciding between a policeman or an actor. The speech and drama group categories also allow the children to wear costumes - the Niven family laughs as they remember the 2013 eisteddfod when Lochlan dressed up as a very convincing girl. Although they have competed in several events, the boys still get a bit nervous; their mum Christine recalls Alex crying the first time he competed. But they have all improved immensely over the years and are aiming to collect some trophies this year. The Gladstone City Eisteddfod will run from August 31 to September 26.